Thorough analysis of the site, users, countries, etc. Design of web pages using Wordpress and Themler software. added to the Broadlink App and RM Tasker plugin bridge. Eg. TV,, Heat Pump, AC, Heaters, fans, motorized curtains, canvas, awnings etc. 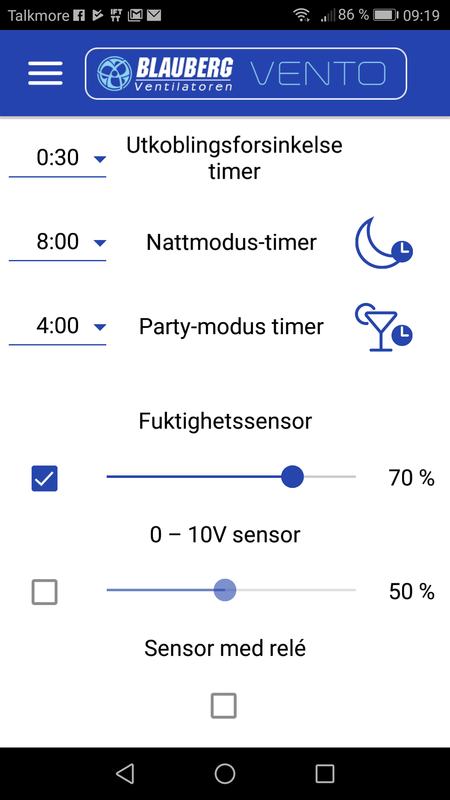 You must also have an Android device where you have installed the RM Tasker Plugin App. This can be a smartphone with Android. Environmental sensor A1 and power rail MP1. The security system SC1 is under development and comes ..
A simple OnePage webpage for the Tirpitz Museum in Kaafjord, Alta. 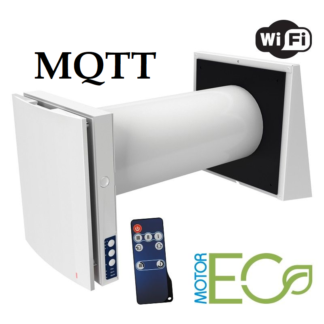 Mqtt2Fan- control wifi heat exchange units with the powerful mqtt protocol. A protocol used by most of the automation systems on the marked. The ONH specialist Alta in Parksenteret got a new website-. Let's help you! We help private and public organizations to project and secure their networks. Android, Windows, Google or Iphone. Contact us for an offer! Android, Windows or Apple Ipad. Two-in-one or ordinary. For work and leisure. Windows, Mac, etc. We also sell servers, PCs, network equipment and most of the computer equipment. Just contact us and we will give you an offer. Installation of software, network and PC is. Camera monitoring and automation. Windows, MacOS, IOS, Android, and Linux. We repair and upgrade computer equipment. Removes viruses and retrieves data from corrupted data media. 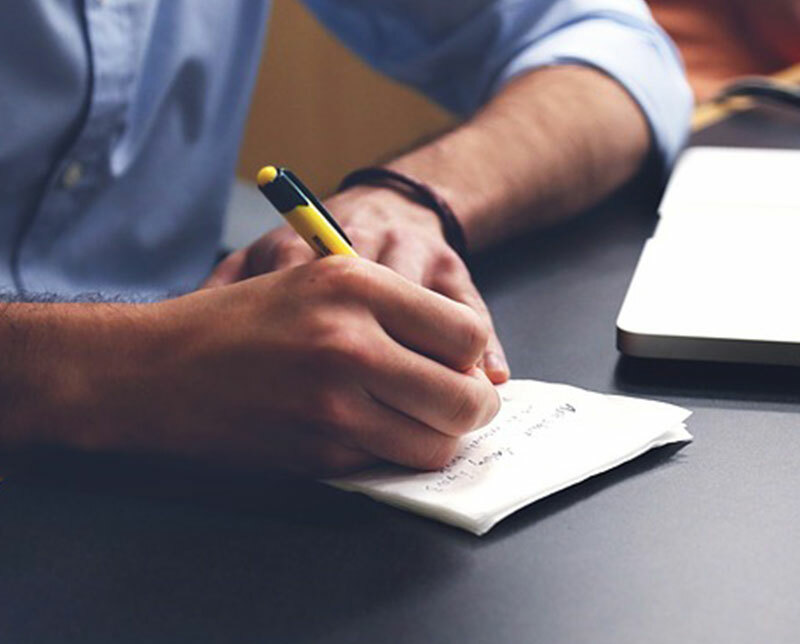 We have support with personal attendance, by telephone or via the Internet. Windows, MacOS, and Linux. Networking, media servers, etc. 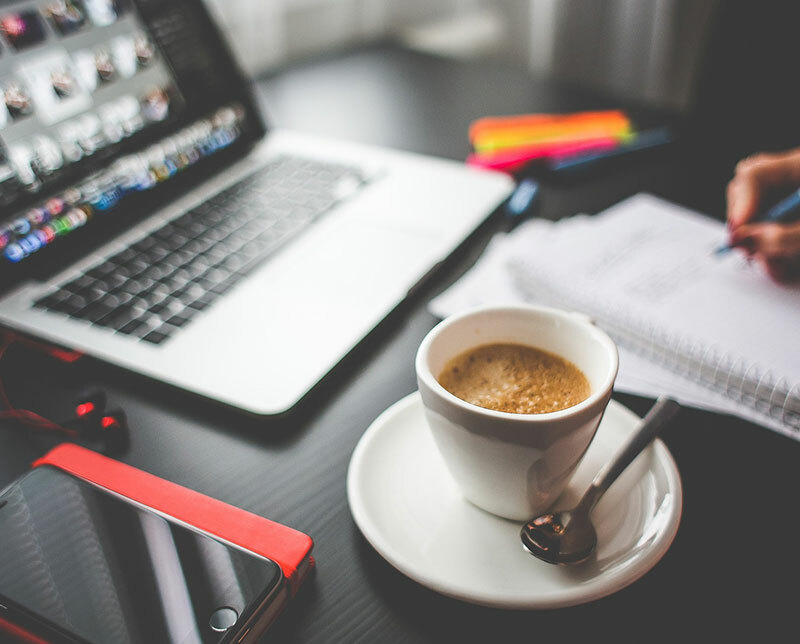 We want to offer customers service agreements, delivery and setup of high quality computer equipment. 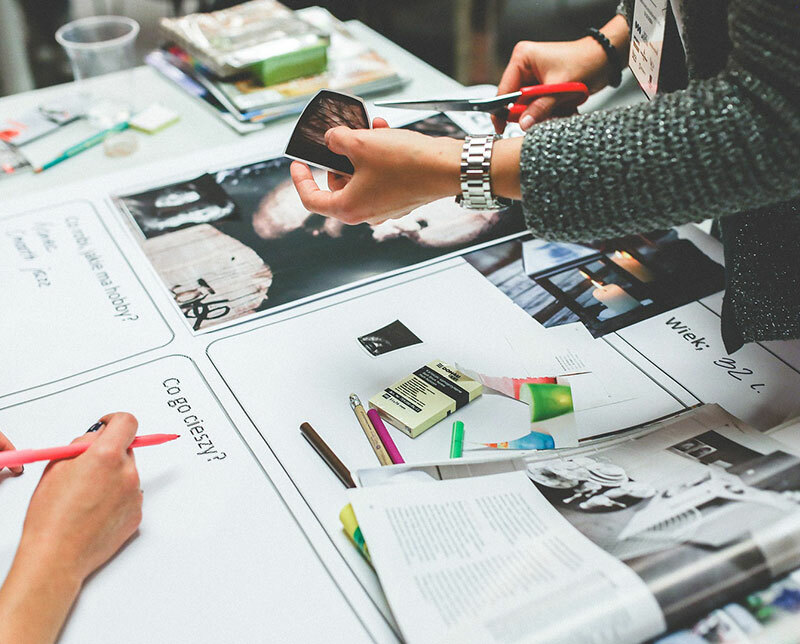 We want to offer customers products that can contribute to a healthier indoor environment. 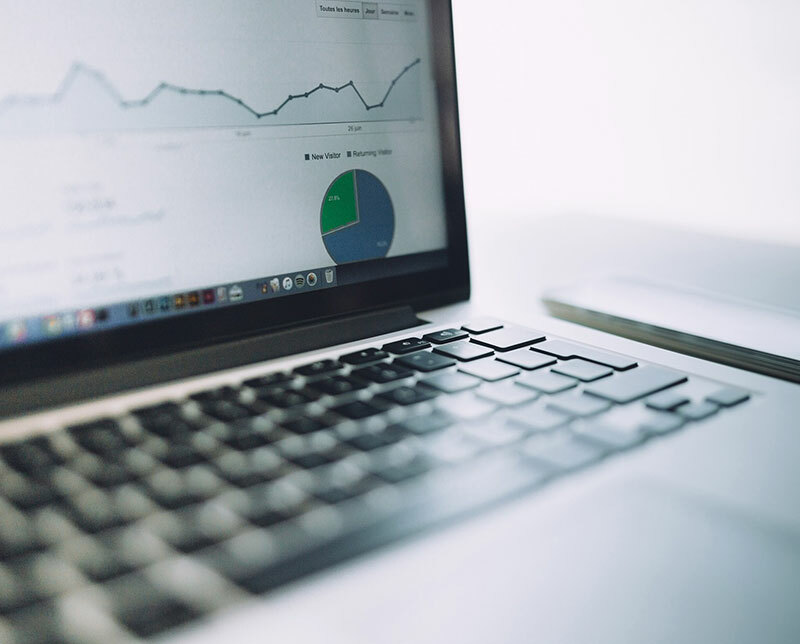 We want to offer the perfect website for our customers. 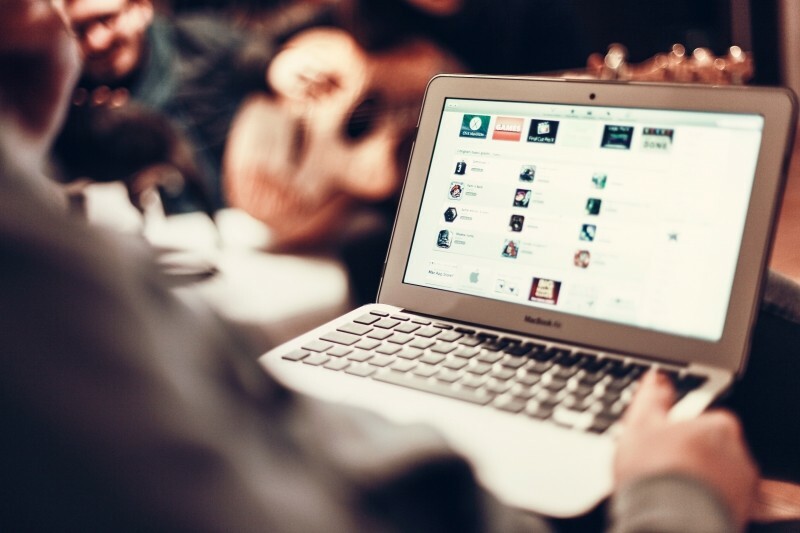 The web page must be customized to the customer's needs and be safe from hacking. 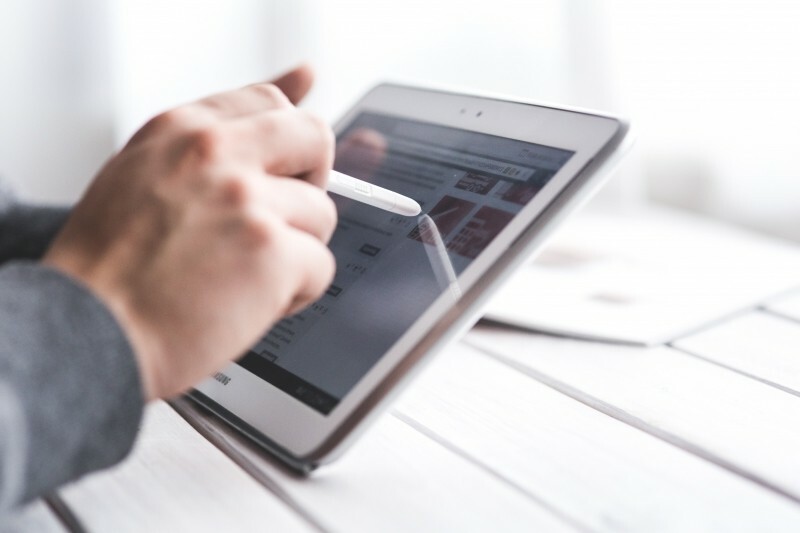 At the same time it must be easy to find in and customized to all platforms like phones, tablets and big screens. ECOFan is a proprietary Plugin for controlling the Blauberg Expert Wifi fans (Compatible with Vents Twinfresh Expert wifi and Flexit Roomie one WiFi). It enables detail management to ensure that the system meets Enova's requirements for balanced ventilation while ensuring that fans can be controlled by IFTTT, Apple Homekit, HStouch and MyHomeSeer Cloud. 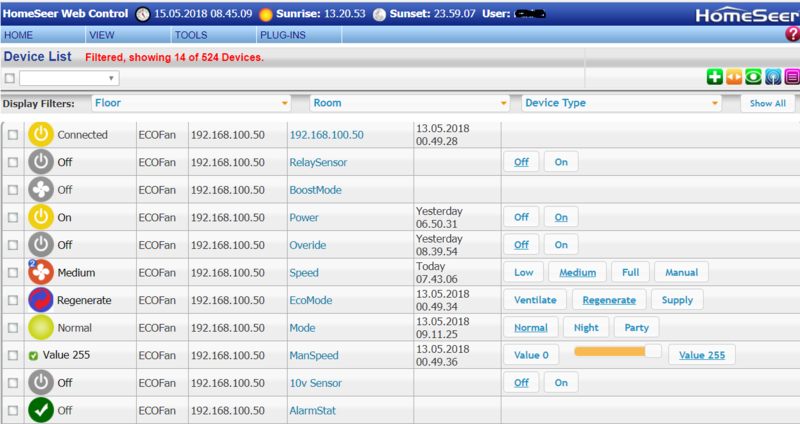 Below a screenshot from Device Management in HomeSeer. Save electricity the easy way! 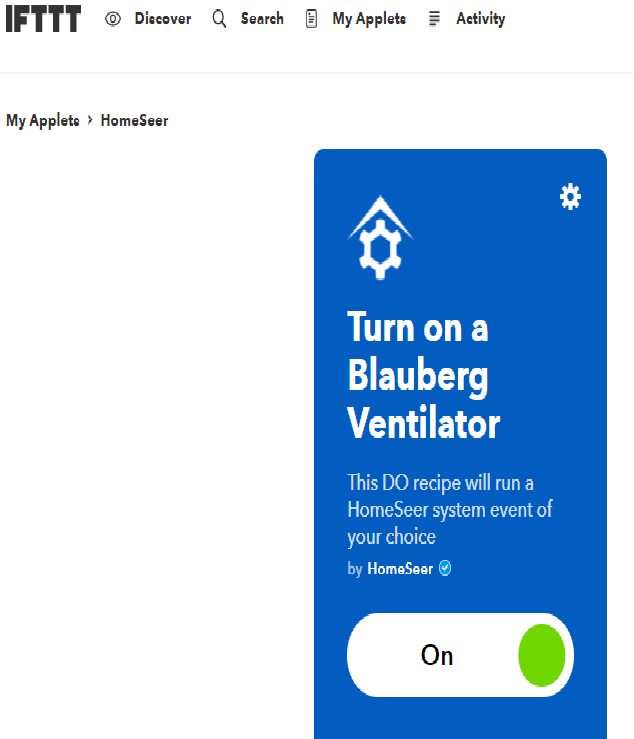 Smarthouse System Licenses HomeSeer HS3 plugin ECOFan. It is required for the detailed control of the ventilation. We sell these licenses together with the Blauberg fans with 50% discount and to customers who already have Vents Twinfresh or Flexit Roomie one WiFi see price below. Ventilators with heat recovery. Up to 97% efficiency and only 11db noise at low speed. Avoid cold air from traditional valves and open windows. Changes up to 50m3 of air per hour and provides a better indoor environment and lower heating costs. Get rid of bad odor, moisture, mildew, pollen and radon in the toilet, in the basement, bedrooms, etc. in a simple way. With night mode you sleep safely and comfortably in a quiet bedroom with the window closed. Read what researchers say how noise from traffic affects your sleep. Approved for use in wet rooms and uses under 10w in full operation. These units fit into existing valve ducts (16cm diameter) and you can mount them yourself. Do not use an electrician if you choose to use the plug. 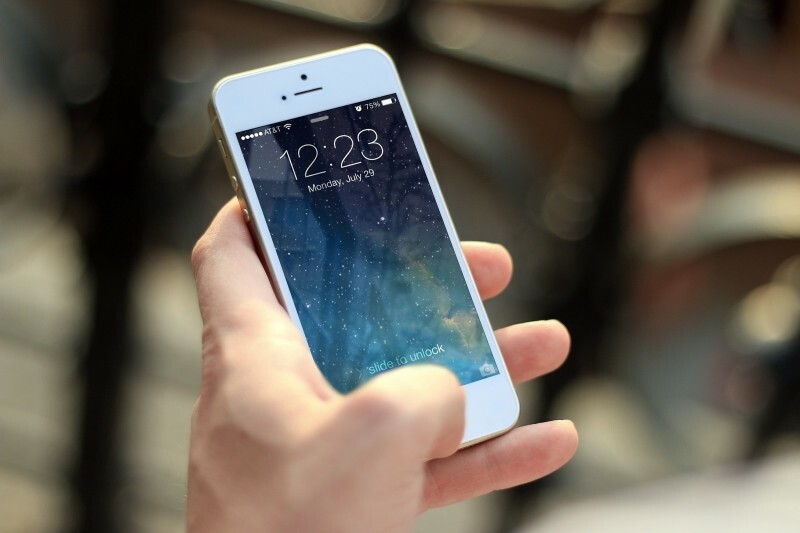 They can be connected to wireless networks and controlled through an app from around the world (*), or just from home. Of course, it comes with remote control and you can also manually control the fan with the button menu on the side of the fan. These can also be controlled with the Smarthome System HomeSeer Hs3, via the EcoFan plug-in module, which is an effective wifi control with two way communication that provides status feedback. This module is developed by Blomkvist ITK as. It also makes it possible to control the ventilation via IFTTT, Alexa, Google Home and Apple Homekit with the benefits this has. Another possibility of controlling the fans is to use our MQTT modules or the Broadlink RM2 Pro ir controller. * This can be used from leading home automation systems like Fibaro, HomeAssistant, OpenHab and more, and also offers IFTTT, Alexa, Google Home and Apple Homekit. * IR control is limited to one way communication. Ventilators with heat recovery. Up to 97% efficiency and only 11db noise at low speed. Avoid cold air from traditional valves and open windows. Changes up to 50m3 of air per hour and provides a better indoor environment and lower heating costs. Get rid of bad odor, moisture, mildew, pollen and radon on the toilet, in the basement, bedrooms, etc. in a simple way. With night mode you sleep safely and comfortably in a quiet bedroom with the window closed. Read what researchers say how noise from traffic affects your sleep. Approved for use in wet rooms and uses under 7watt in full operation. These units fit into existing valve ducts (16cm diameter) and you can mount them yourself. Do not use an electrician if you choose to use the plug. They can be connected to wireless networks and controlled through an app from around the world (*), or just from home. Of course, it comes with remote control and you can also manually control the fan with the button menu on the side of the fan. 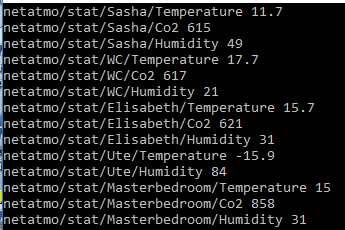 These can also be controlled by the Smarthome System HomeSeer, via the plugin module. EcoFan which is an effective wifi control with two way communication that provides status feedback. This module is developed by Blomkvist ITK as. 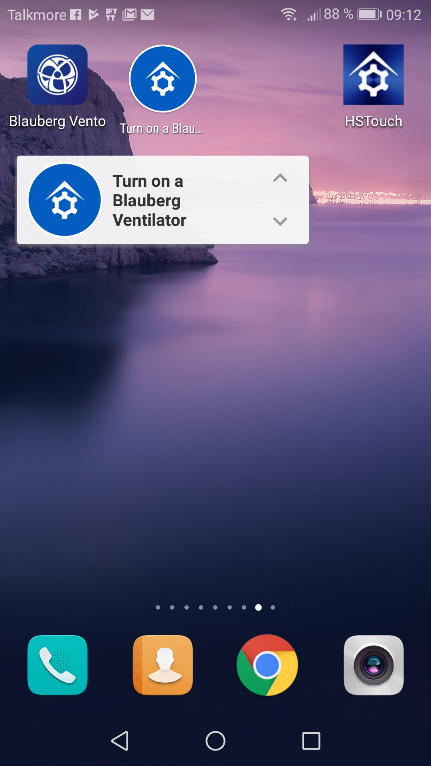 It also makes it possible to control the ventilation via IFTTT, Alexa, Google Home and Apple Homekit with the benefits this has. We have developed a MQTT module to control these vans from any automation system you like. Check ou our web shop. This can be used by leading home automation systems like Fibaro, HomeAssistant, OpenHab and more, and also offers IFTTT, Alexa, Google Home and Apple Homekit. * IR control is limited to one way communication. Easy to maintain, since they have washable filters that only need to be checked every 3-4 months. They work down to -30 degrees, and on hot days in the summer they also save electricity to air conditioning by taking colder air from the fans on the shadow side of the house. We have three models w / wifi: one to thick and one to thin walls. The latter costs a little more as it has extra large outdoor hood. The third one is for bathrooms and wet rooms. 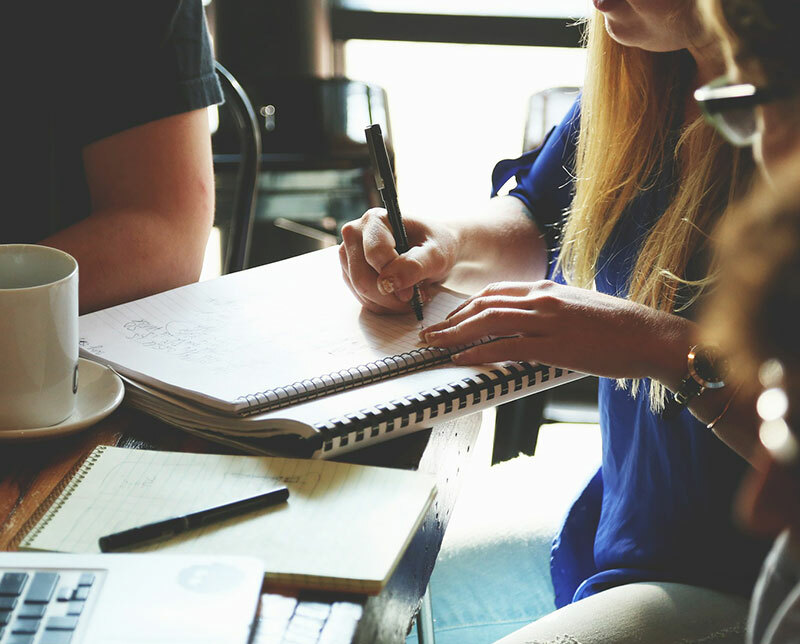 With several fans working together, you get a balanced ventilation system at the fraction of the price of traditional systems with channels throughout the building. In these channels, dust, mildew and pollen can be accumulated and they are not so easy to clean. Enova covers 25% of the total investment cost of a balanced ventilation system at home. See www.enova.no All fans can be supplied with a C02 sensor and have the option of connecting a sensor in addition to this via relay. 50% discount on the EcoFan plugin when purchasing a Blauberg device! (*) Only Orginal Blauberg fans have built-in support for cloud control. This means that you can control the fans over the internet using the mobile app. Without this functionality, you can only control the fans over your own Wi-Fi network, ie. home. Unless you purchase the HomeSeer HS3 and ECOFan plugin module , our MQTT modules or a Broadlink ir controller. Easy to maintain, since they have washable filters that only need to be checked every 3-4 months. They work down to -30 degrees, and on hot days in the summer they also save electricity to air conditioning by taking colder air from the fans on the shadow side of the house. We have two models w / wifi: one to thick and one to thin walls. The latter costs a little more as it has extra large outdoor hood.
. In these channels a lot of dust, mildew and pollen can accumulate and they are not so easy to clean. Enova covers 25% of the total investment cost of a balanced ventilation system at home. 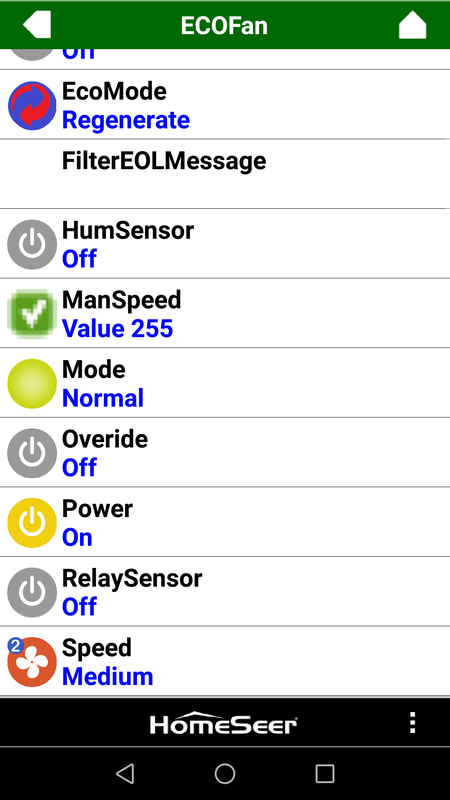 sensor in addition to this via relay. 50% discount on the EcoFan plugin when purchasing a Blauberg device! (*) Only Orginal Blauberg fans have built-in support for cloud control. This means that you can control the fans over the internet using the mobile app. module , our MQTT modules or a Broadlink ir controller. Up to 50m3 / h replacement of air. Up to 97% efficiency at low speed. Low noise, down to 11db at low speed. Helps save power, summer and winter. Removes odor odor, moisture, mildew, pollen and radon. Check current price in the Netshop. Complete with extra large outdoor hood. Up to 30m3 / h replacement of air. Low noise down to 24db at low speed. Helps save electricity, summer and winter. 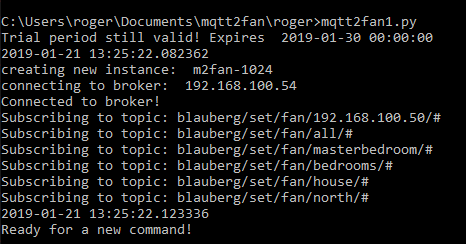 1 Mqtt2fan license to control one fan. License and program are sent to the customer by email. Check current price in our netshop. 5 Mqtt2fan licenses to control five fans. License and program are sent to the customer on email. Check current price in our netshop. Mqtt2fan license to control an unlimited number of fans. License and program are sent to the customer on email. Check current price in our netshop. 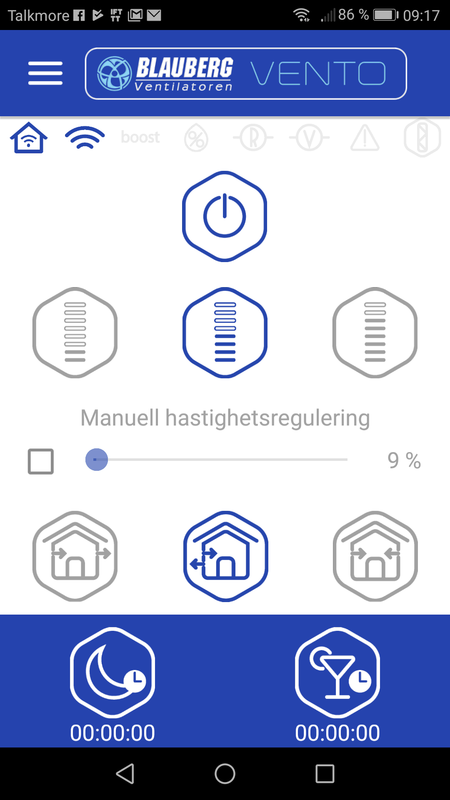 This module gets the status from the fans to make it easier to control them. Data transmitted continuously to the broker is on-off status, fan speed, mode (normal, night and party), eco mode (ventilate, regenerate, supply) filter status, etc. One license allows you to retrieve status from one fan. License and program are sent by email. Check current price in our online store! This module gets the status from the fans and feed it to a MQTT broker to make it easier to control the fans. Data transmitted continuously to the broker is on-off status, fan speed, mode (normal, night and party), eco mode (ventilate, regenerate,supply), filter status, etc. Five licenses allows you to obtain status from 5 fans. License and program are sent by email. Check current price in our online store! This module gets the status from the fans and feed it to a MQTT broker to make it easier to control the fans. Data transmitted continuously to the broker is on-off status, fan speed, mode (normal, night and party), eco mode (ventilate, regenerate,supply), filter status, etc. An unlimited licens allows you to obtain status from an unlimited number of fans. License and program are sent by email. Check current price in our online store! 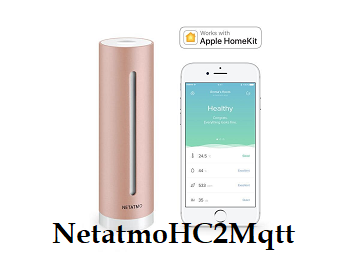 This module gets the status of the Netatmo Healty Home Coach unit and makes it easier to control the indoor climate according to this data. Data transmitted continuously to the broker is temperature, co2 level, humidity, air pressure, sound level and health index. One licenses allow you to retrieve status from one Netatmo HC device. License and program are sent by email. Check current price in our online store! Five licenses allow you to retrieve status from 5 Netatmo HC devices. An unlimited license allow you to retrieve status from an unlimited number of Netatmo HC devices. 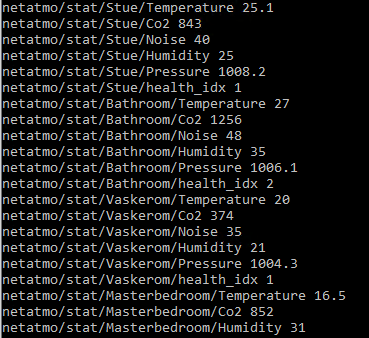 This module gets the status of the Netatmo Weather Station and makes it easier to control the indoor climate according to this data. Data transmitted continuously to the broker is temperature, co2 level, humidity from the indoor modules and temperature,co2 level, air pressure and sound level from the main unit , temperature and humidity from the outdoor unit. 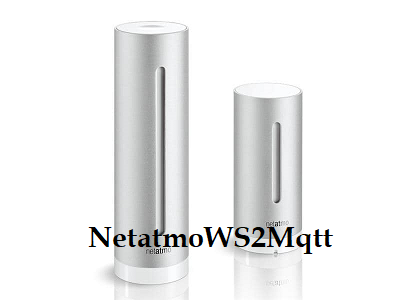 One license allow you to retrieve status from one Netatmo WS main device, one outdoor unit and up to 3 indoor units. Five licenses allow you to retrieve status from five Netatmo WS main devices, one outdoor unit and up to 3 indoor units each. One unlimited license allow you to retrieve status from an unlimited number of Netatmo WS main devices, with one outdoor unit and up to 3 indoor units each.